Nokia to launch a tablet this year ? | It-11 Audio / Tonegeek"
Nokia to launch a tablet this year ? There’ve been rumors that Nokia was preparing to launch a consumer tablet floating around for a while, but now The Street is pretty sure it’s going to happen this year, possibly as early as this fall. The tablet will likely run a version of the MeeGo Linux operating system, but that’s about all we know about the device at this point. The tip comes from an analyst with access to Nokia’s technology partners. I’d take it with a grain of salt for now, but honestly, at this point it’s more surprising when a company insists it won’t release a tablet than when it does. Pretty much every major device maker has a tablet in the works. 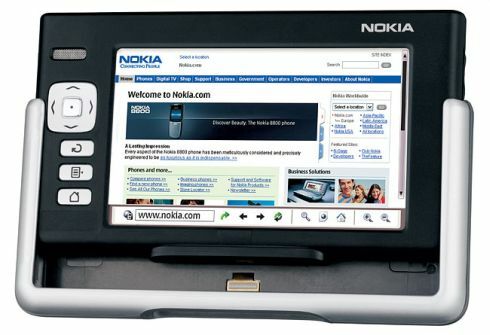 This wouldn’t be the first time Nokia entered the tablet space. The company’s N700, N800, and N900 line of devices have been blurring the lines between phones and tablets for years, but they’ve never sold in very large numbers. And while MeeGo is the most likely choice for an operating system, as Nokia has been backing Maemo and MeeGo development for years, it’s not the only option available. After all, Nokia recently announced that it would phase out its Symbian-based smartphones in favor of Windows Phone 7 soon. It’d be a bit surprising, but not a complete shock if the company decided to ditch MeeGo for Android or even Windows. On the other hand, MeeGo has a few things going for it. Not only is the Linux-based operating system already designed for low power mobile devices and highly customizable, but we’ve also already seen that you can convince some Android apps to run on MeeGo with a little work. This entry was posted in What's up, doc ? and tagged Nokia, tablet. Bookmark the permalink.